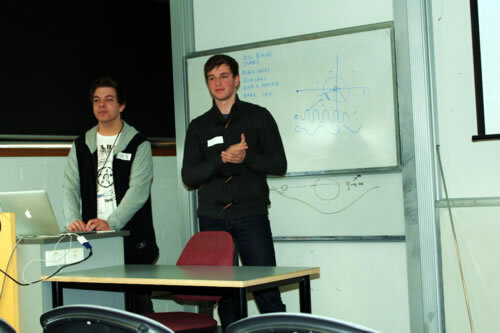 The Work Experience program in the School of Physics allows groups of students the opportunity to experience many facets of conducting research in an academic environment. Students will attend talks, conduct experiments, work on a small research project and give their own presentation as well as have plenty of opportunities to speak with scientists in their field of interest. In past years there has also been special events such as excursions to the Australian Synchrotron and Melbourne Planetarium and an evening of telescope observing. Various research groups within the School of Physics may offer work experience programs throughout the year for Year 10 Secondary School students. All enquiries regarding the work experience program can be made to the Laby Teaching and Outreach Fellow, Clare Kenyon. 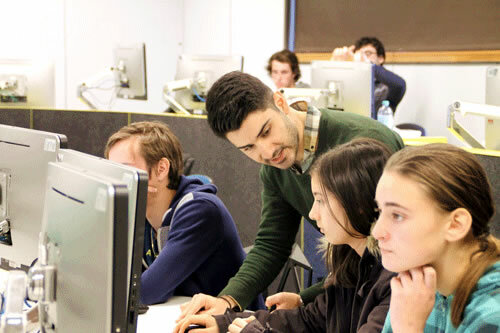 While every effort is made to place as many students interested in the Work Experience program as possible, this is a very popular program and many groups are restricted by when they can offer placements due to teaching and research commitments. Read more about Work Experience opportunities and Science in Schools. If you are interested in applying for work experience with the School of Physics, please click on the link above. Applications close on Friday 1 March 2019 at 5 pm. You will be asked to select your top three preferences in Science, and briefly describe why you are interested in those areas. You will also be asked to briefly explain why you would like to participate in the Faculty of Science Work Experience program. Notification on the outcome of students' applications will be made by Friday 5 April 2019. This list may be added to during the year depending on student numbers, interest and availability. So please feel free to apply even if the current programs are not suitable and every effort will be made to find further placements dependent upon your interests and preferred dates. For possible areas of interest, please view the Research pages.